Our rural house is located 14 km from Salamanca. It is a beautiful building with traditional architecture that houses 2 rural accommodations: "El Molino de Aldearrubia" and "El Molinito". The houses can be connected reaching a total capacity of 15 pax. In the rehabilitation of what until mid-twentieth century was the old mill original stone and wood has been maintained, incorporating new elements to comply with the most traditional flavour of old houses. Both houses have all the comforts of our time to offer you a pleasant and peaceful stay in a beautiful rural setting, just a step away from Salamanca. World Heritage City, is also known for its University and its international and young atmosphere. 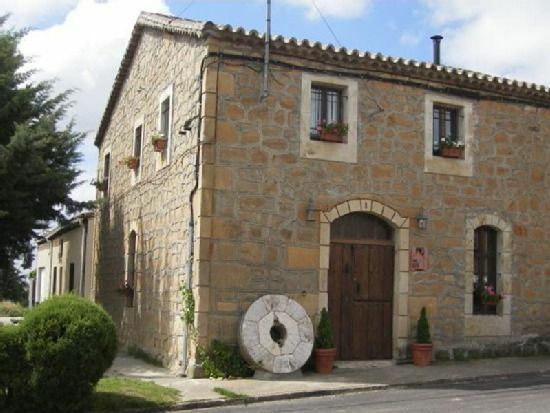 El Molino de Aldearrubia has three bedrooms with private bathrooms. Tv, dvd, stereo, wi-fi, oven, washer, dryer. Bed linen and towels. Heating and fireplace. Garden, swimming pool and barbecue. La estancia es grande y preciosa, además de estar muy bien cuidada. Los propietarios muy amables en todo momento, ofreciéndonos ayuda en todo momento. Ha sido perfecto todo.